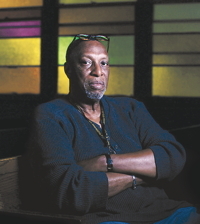 When White, for 22 years the head of a small, predominately black church in St. Paul, Minnesota, stood up for gay marriage, most of his congregants left. With his financially ruined church lost to foreclosure and only a few believers by his side, White remains undeterred. Here is his story (as told to Jennie Rothenberg Gritz). I’ve always been a supporter of gay marriage. There are all different kinds of people—left-handed and right-handed, gay and straight. And I don’t believe God made a mistake in creating them that way. Now, I love the black church. The black church nurtured me. However, the majority of black churches have the policy of don’t ask, don’t tell. They say “We love gays, but we hate the sin they’re committing.” If you’re black and gay, you’ll keep going to that church anyway, because it’s part of your culture. But the church keeps pushing you into the closet. The other ministers tell me, “Oliver, this is not a civil-rights issue like we went through 50 years ago.” But it is! When you preach against the gays and lesbians, that’s discrimination, pure and simple. Now I’m looking at a new church in a different kind of neighborhood. It’s more family-oriented, working-class. The people read. They vote. I’m not saying it’s the Promised Land, but I think I have a greater potential to change lives there. I have to raise $150,000 for the down payment. If we lose the earnest money we already put down, a lot of people will be angry at me. And they’ll be right. If we lose that money, I’ll resign from the ministry. I won’t have a right to pastor after that. But I have to try. I cannot sit by and watch my congregation dissolve into nothing.